What Records should you keep to Raise Rabbits Successfully? It’s a fact: if you want to be successful in raising show rabbits, record keeping is vital. But which ones really matter? As a teen, I made up all kinds of record sheets for my bunnies. I had record sheets to track nearly everything: litters, shows, feed economics, health, hereditary traits, rabbits sold, chores accomplished, show quality of developing juniors, you name it. I had a lot more fun making record sheets than I had filling them out. In fact, I hardly ever filled out most of them. –Rabbits Sold: Write down every bunny sold and who you sold it to. That way, when someone contacts you about the rabbit they sold them, you’re not sitting there wondering which rabbit they bought. –Income and Expenses: Not fun, but must be done. –Doe Breeding Cards: This is important. Tells you at a glance who was bred to who and when. Easy reference to look up kits’ birth dates, as well as to keep track of which of your does consistently produce nice offspring. –Show records when Grand Champion Legs are won: Placements that didn’t win legs became extraneous. I mean, two years later, do we really care that Chad beat Rocky…AGAIN? –Handy Dandy Calendar: To doodle on regarding show dates and due dates. -The Rabbitry Journal: All my other extraneous records begone, and enter the Journal. This was the single most helpful record I kept. Every Sunday I made an entry in the rabbitry journal, just rambling about what happened in the past week. 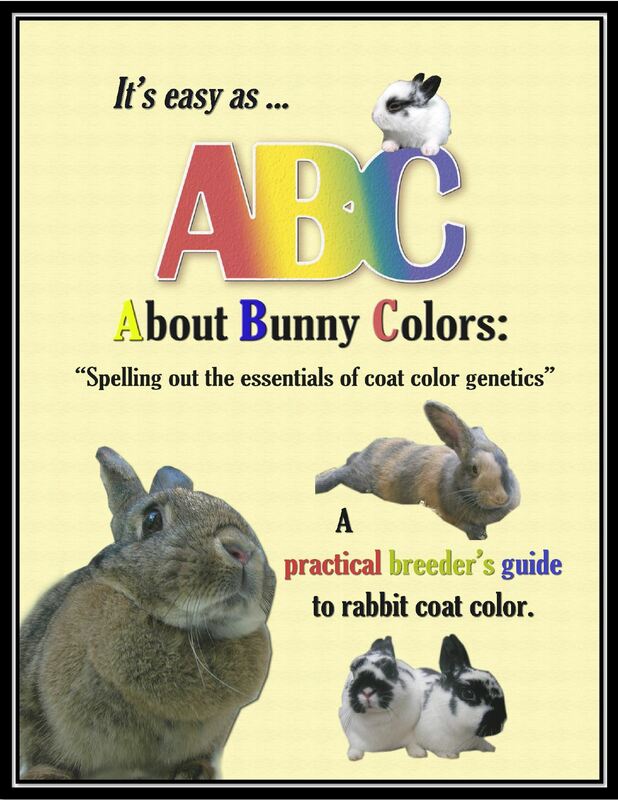 I made notes on how the breeding program was going, litters born and how they went. I jotted a recap of shows I went to. If I was trying out a new feed supplement or had to purchase pellets, I wrote it down. If a bunny was sneezing, or I suspected one of having fur mites, I wrote it down. Basically I jotted down any notable events that happened in the past week. That way I could keep track of how my management practices were evolving and affecting the success of my rabbitry. If a problem occurred, I could trace it back to where it began and what was happening at the time. So – here you go. Record sheets you can download and print for your very own. To download, right-click either “pdf” or “word” under each icon. Then click “save link as” if you are using firefox, or “save target as” if you are using IE. Show Records – I used this one on a rabbitry-wide basis: I only kept one sheet for the whole rabbitry and noted several rabbits’ placements on it in each show. But you could print one of these for each rabbit if you prefer.